Various studies have indicated that although there remain disagreements between analysts over exact numbers the direction a large part of the software market is heading in is towards the cloud. 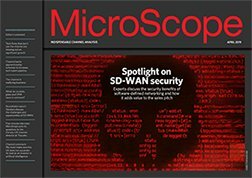 The growth in hype around the hosted application and services option has been rising in the last few years at an unprecedented level but now with fears about security largely overcome and SLAs there to ensure downtime is a rare event more firms are looking to move some of their operations into the cloud. From a channel perspective there are opportunities whether it be a private or a public cloud and most firms seem to have come to a realisation that although the future might be a hybrid one, with a portion of applications still based on-premise, the need for the some sort of hosted strategy is essential to gain the product and services revenue that is available right now. According to the latest Pearlfinders IT Index, which monitors trends and opinions in the IT world, the demand from customers continues to be strong around the cloud with product launches from Microsoft with Office 365 and Citrix acquiring Cloud.com helping to keep it firmly in the headlines. Not far off half the decision makers it interviewed said that they were considering cloud computing to meet their immediate technology needs and the list of perceived benefits seems to be getting longer with data storage added to web-based software delivery, remote working, cost cutting and platform development. The amount of storage that firms are struggling to cope with is rising between 40-60% each year and the cloud is providing a solution to dealing with that data. Resellers targeting the verticals which tend to consume a lot of material, media and marketing along with financial services, are already finding that customers looking at using the hosted option as a way of easing the storage burden. In terms of verticals in the second quarter of this year the manufacturing sector was a key customer using cloud to gain greater storage and to provide a forum for employee collaboration in a private cloud. Financial services also continued to spend on cloud because of its on-going requirement to get greater remote access to data as it promotes working from home and flexible working to staff in that sector. The professional and business services sector had the third highest demand with law firms, accountants and recruitment firms all fertile ground for resellers pitching the cloud option. But there are a couple of flies in the ointment. The first is the high profile data breaches at organisations like Sony Computer Entertainment, which have been using the cloud as the backbone for delivery of a service to large numbers of users. There are also on-going issues around the definition of what a cloud is with a call for better communication from vendors around what they are actually offering users.